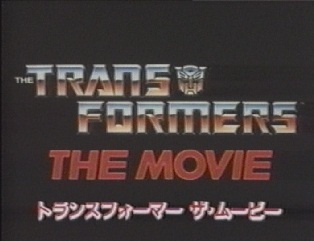 This promotional video was created to sell the movie to investors. 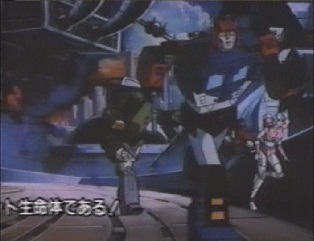 There are a couple of versions of it, the version I've taken these screenshots from was the Japanese promo, which was included on one of Metrodome's DVDs. 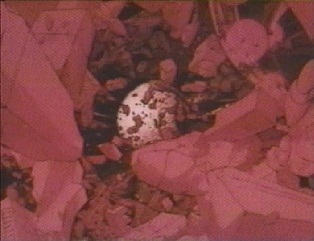 The promo's first scene shows Unicron consuming Lithone. 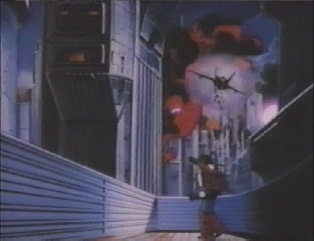 This scene goes on for longer in the trailer, such as showing one of Unicron's pincers smash through a city, and more shots of the destruction he causes. 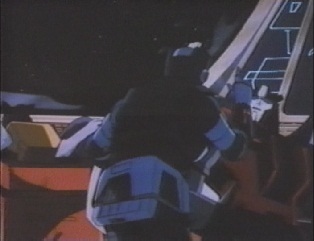 The next scene shows an Autobot shuttle from space, which is mainly white rather than orange. 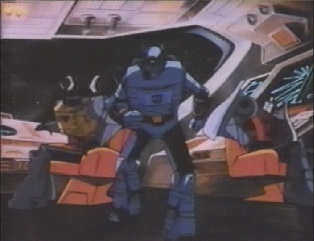 Kup is then shown telling one of his war stories, as the robot mode Dinobots listen to him. 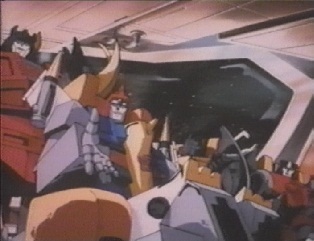 Snarl makes a few appearances in this trailer, whilst Sludge is missing entirely. 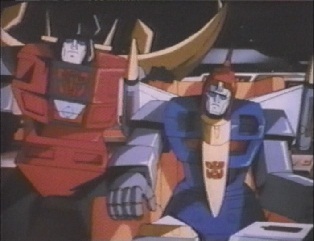 For the final film, Snarl only makes a few cameos whilst Sludge is there plenty of times. 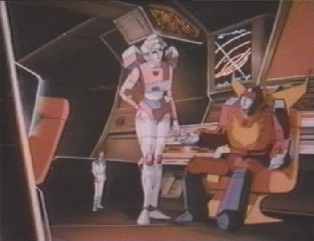 Arcee and Daniel are also seen on the shuttle, along with Hot Rod. 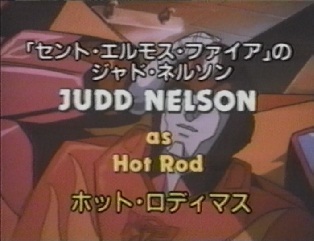 Hot Rod's design in this trailer is slightly different, as his Autobot insignia is closer to his neck, rather than the middle of his chest. 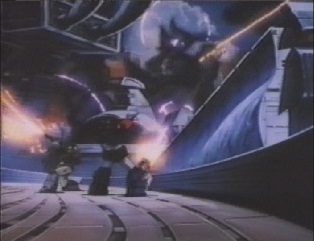 The Dinobots are then all seen talking, and then the next scene begins: the Autobot City battle. 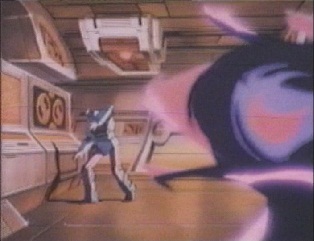 An Autobot cowers from an explosion -I think this Autobot is meant to be Blurr, but some fans think it might be Mirage. 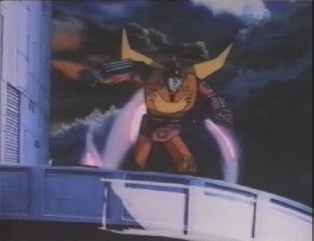 Hot Rod is seen jumping from a structure, as there are several explosions behind him. 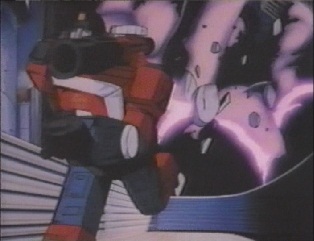 Perceptor is then seen looking at some explosions in the distance, but then some Decepticon jets head his way and start firing. He turns around and runs off. 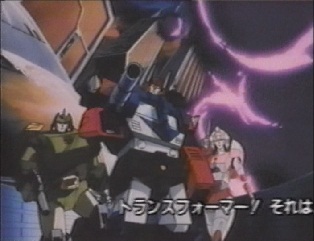 Ultra Magnus, Springer and Arcee are then seen firing at the Decepticon jets, as Perceptor runs towards them. 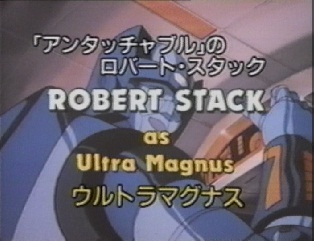 Ultra Magnus has a different color scheme in this trailer -he has his Diaclone colors. 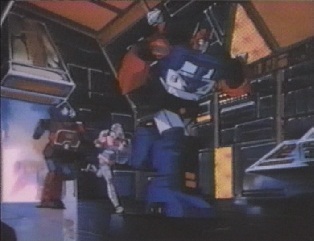 He and the other Autobots run off, as the Decepticons keep firing at them. 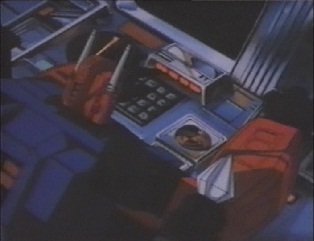 The Autobots head inside a room, and start using the consoles to transform the city. 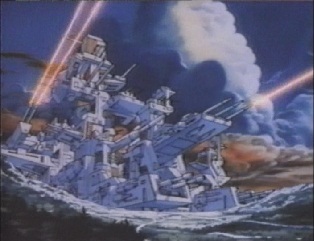 The transformation sequence for the city was kept for the final film, but the trailer has a shot of the city's guns actually firing. The city is all white in this trailer, rather than the orange the final film went with. 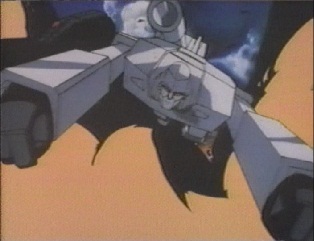 As the guns fire, the Decepticons take evasive action. 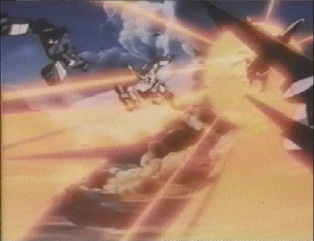 Starscream takes a hit, but Megatron, Soundwave and some of the other Decepticons keep going. 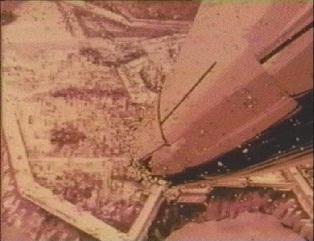 The trailer's final scene then starts. 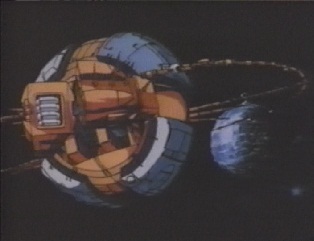 This scene shows Unicron transforming, but there are a few differences. 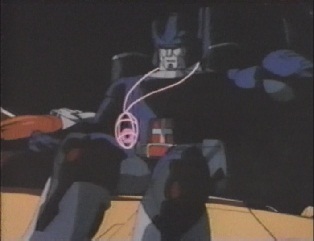 The most obvious is the Matrix, which Galvatron has around his neck. It seems that the design for the Matrix hadn't been completed yet, as the trailer shows a pink, transparent Matrix. Even the chain is pink. 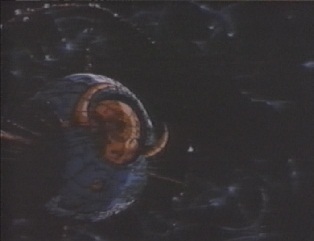 There is a shot where Galvatron falls down into Unicron, which is not seen in the final film. The background throughout this scene is also different. 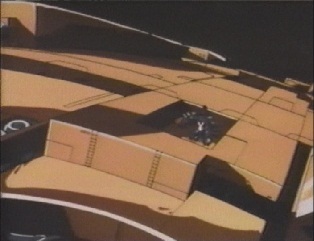 Some of the music used in the trailer is from Star Trek III: The Search for Spock. Kup is the only character to actually say speak in the trailer. Whilst some characters do open and close their mouths to talk, they are always silent as the narrator is talking over them. Kup's line in this trailer is a from a different take. 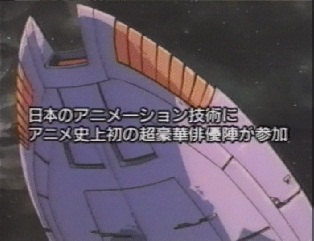 The narrator is voiced by Victor Caroli.